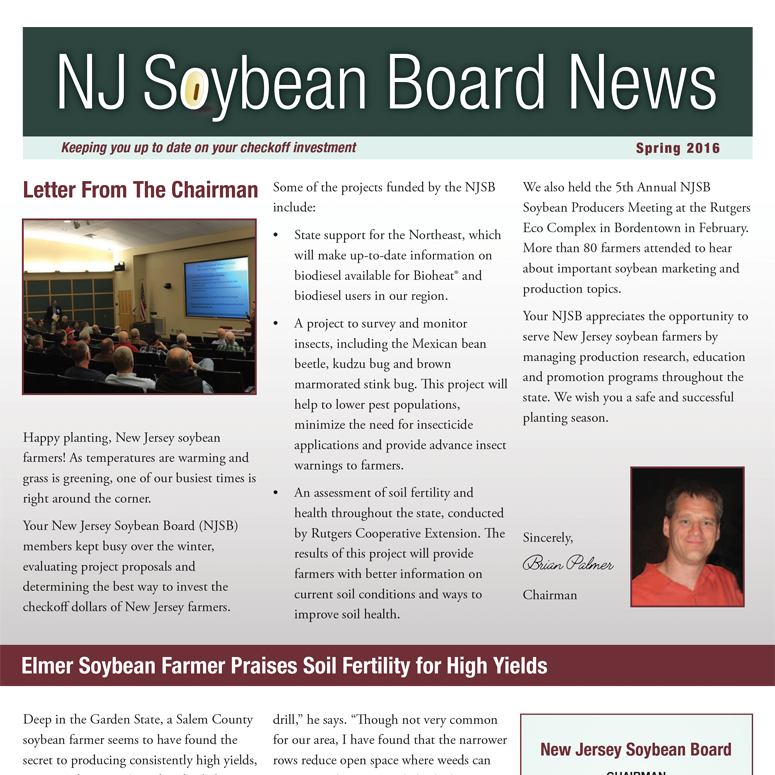 In this issue you will hear from the NJSB chairman, learn about one farmer’s praise of soil fertility for high yields, and the NJSB selection of two students to attend Biotech University 2016. Read the full issue. 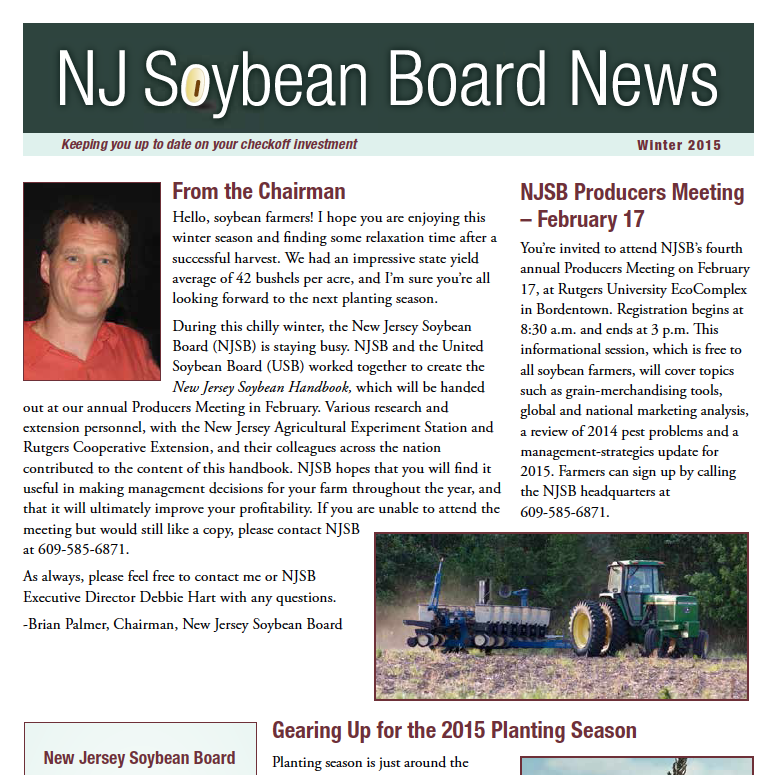 In this issue you will hear from the NJSB chairman, get a reminder about the upcoming producers meeting in 2015 and gear up for the 2015 planting season. Read the full issue. 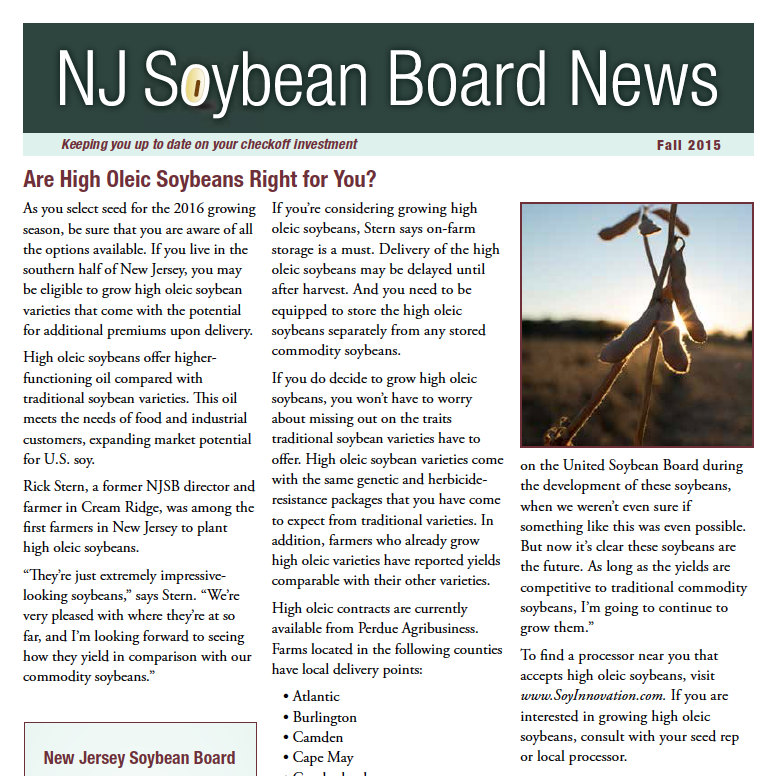 Find out if re High Oleic Soybeans right for you, get NJSB updates and find out how you can prepare for success in 2016. Read the full issue. 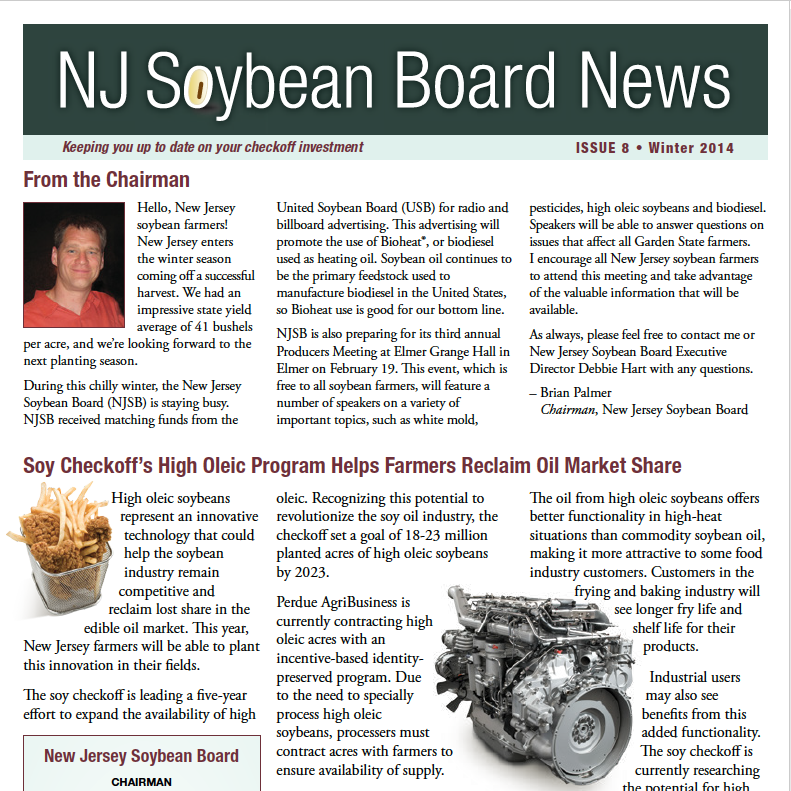 In this issue you’ll learn how the soy Checkoff’s High Oleic program is helping farmers reclaim oil market share, more about weed management in the Garden State, and an invitation to attend the NJSB’s Producers Meeting. Read the full issue. 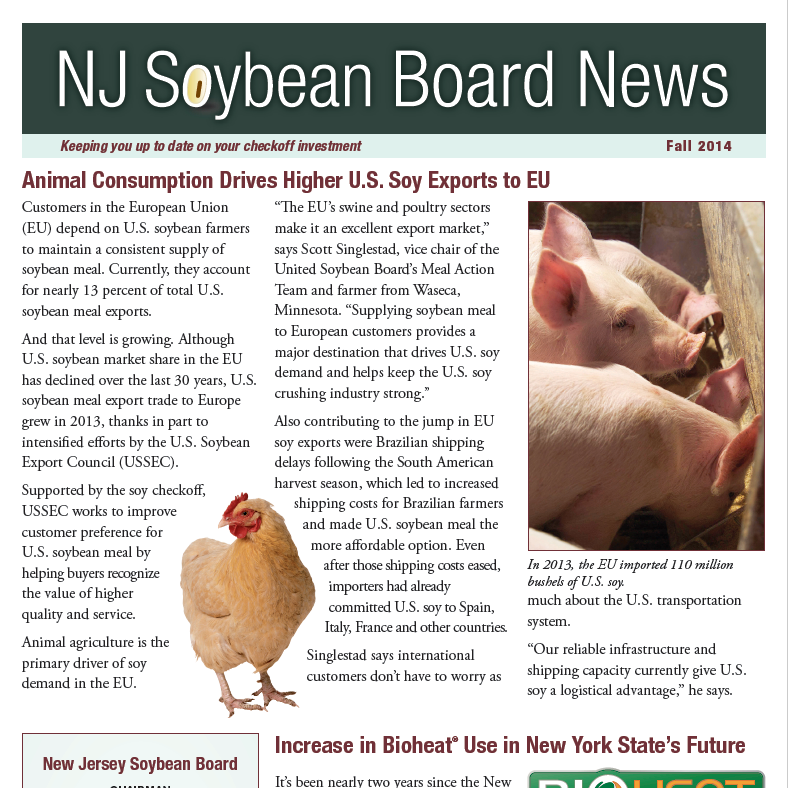 Learn about how animal consumption is driving higher U.S. soy exports to EU, the increase in Bioheat® use, and the Soy Checkoff’s introduction of journalism students to biotechnology. Read the full issue. 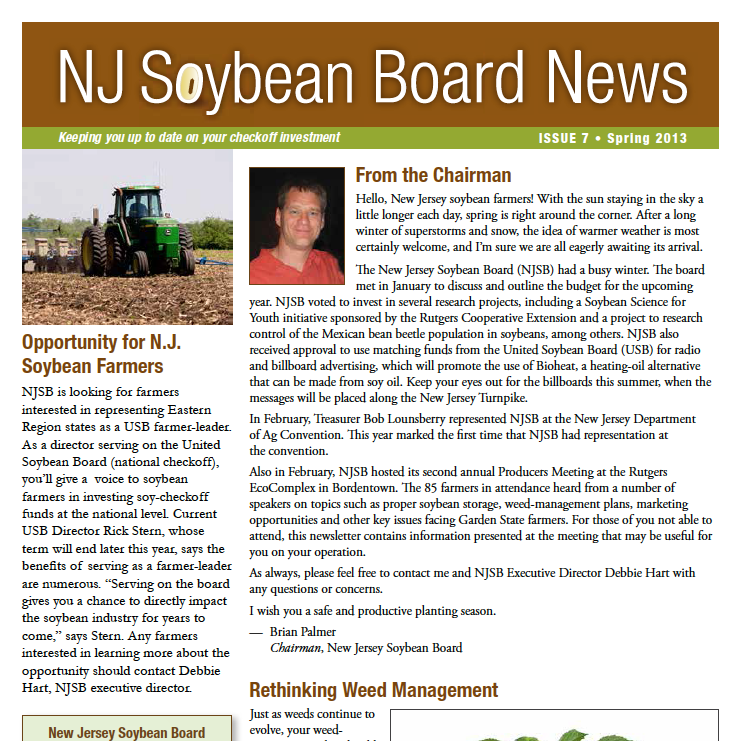 Read about new opportunities for N.J. soybean farmers, a word from the chairman, rethinking weed management, successful soybean storage, and the top reasons international customers prefer U.S. Soy. Read the full issue. 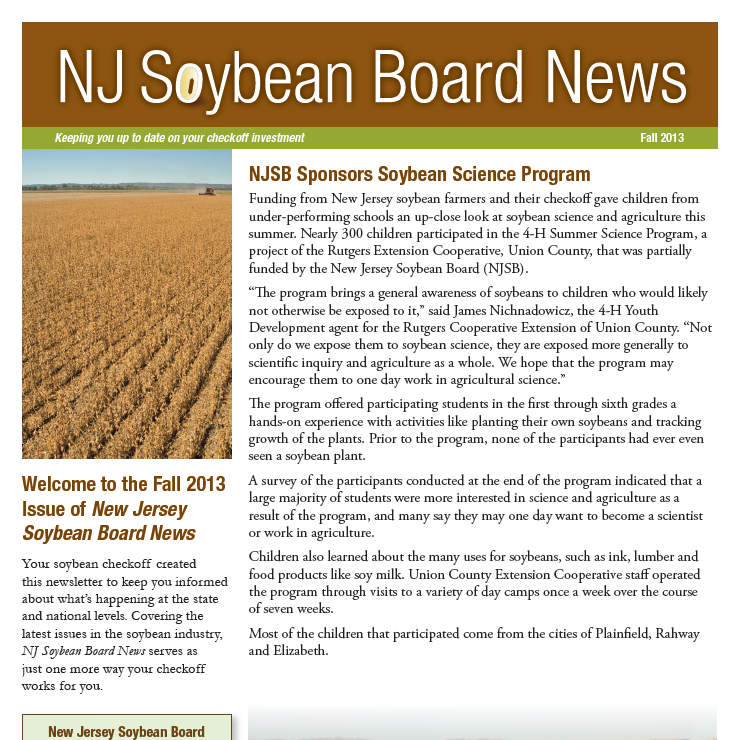 This issue covers the NJSB’s sponsorship of the Soybean Science Program, the increase in Bioheat® use in New York State, and getting to know more about High Oleic. Read the full issue. 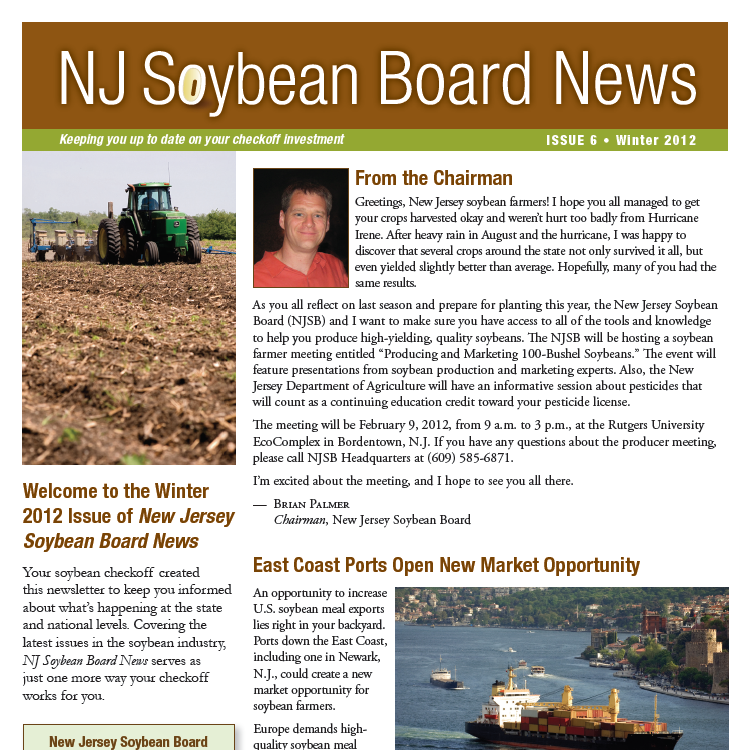 This issue includes a new market opportunity through east coast ports, updates on top U.S. soy importers, and a closer look at global issues. Read the full issue. Your soybean checkoff created this newsletter to keep you informed about what’s happening at the state and national levels. 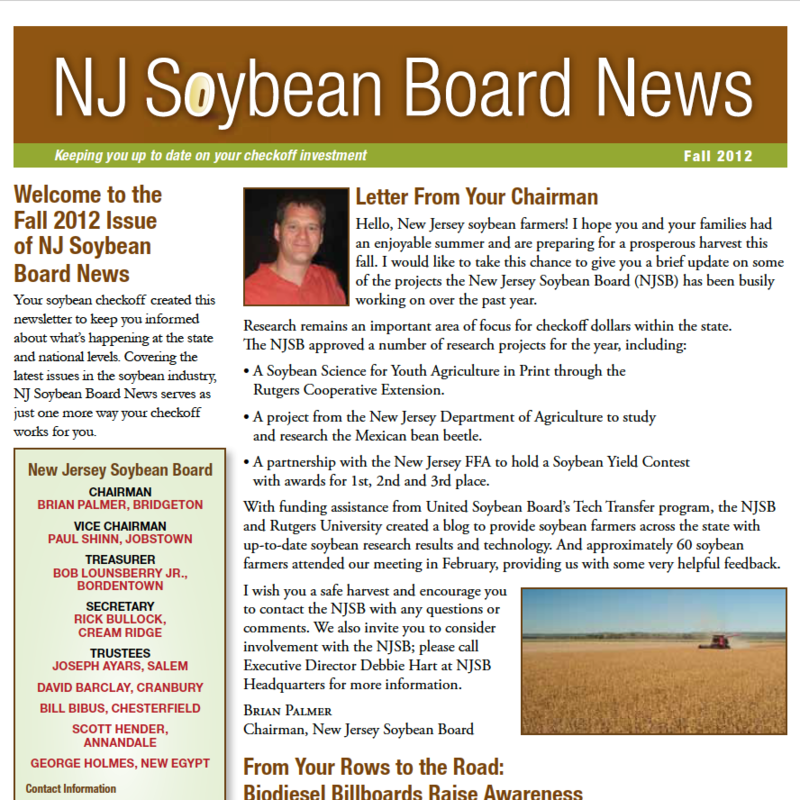 Covering the latest issues in the soybean industry, NJ Soybean Board News serves as just one more way your checkoff works for you. Read the full issue.